Photography by Matt O, 2018. 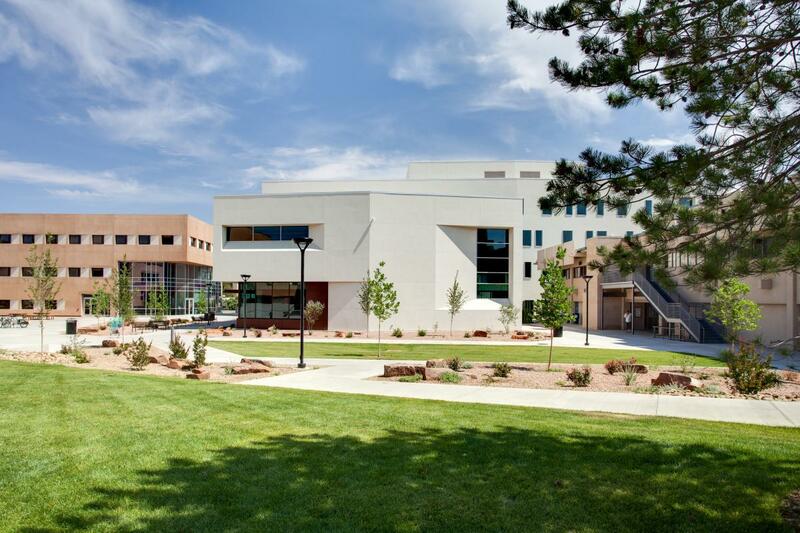 In collaboration with FBT and Bora Architects, Groundwork Studio completed the site and landscape design for the new UNM McKinnon Center for Management at the Anderson School of Business. This major renovation project master planned the replacement of both Anderson School buildings, with Phase I including replacement of the west building and a complete site redesign. With graceful attention to grade change and views, the landscape improvements transform this north gateway entrance to the UNM campus. In concert with the building concept of “folding,” the site transitions from higher elevation to the building through sequenced ramping, xeric slopes, and functional turf areas. The project creates valuable new outdoor study and classroom space while addressing accessibility challenges at this critical entry from Las Lomas Road and north parking garage.